CrownDecor -- Help you to style your home into Chinese, European, or modern tastes. Decorate your house or office in Chinese, European, or modern tastes. -- We offer advice, based on your cultural background, age, family members, and rooms, on how to create a more comfortable living / working space. -- If you own a luxurious home, we can offer advice and also help you find designers to style your home into Chinese, European, or modern tastes. -- If you hold many meetings or parties in your place, we can help you decorate it in different styles (Chinese, European style, or modern) to meet your requirements. Chinese emperor / traditional style. We can offer advice and also help you find designers to style your home into Chinese emperor / traditional tastes. -- Chinese Classical “Ming-Qing” Styled hardwood Furniture. 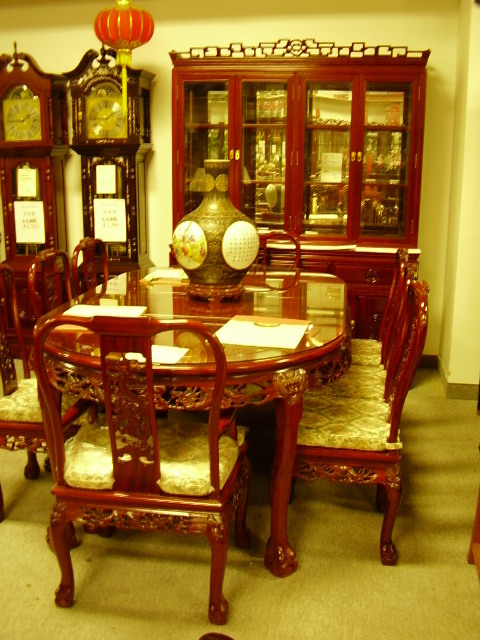 -- Chinese wood carvings, paintings, lacquers, porcelains. - hardwood “Ming-Qing” Styled furniture. - Chinese wood carvings, paintings, lacquers, porcelains. - hardwood, cherrywood, oak furniture .